This week we went full throttle into New York Fashion Week, eight days of shows, parties and ridiculously well-dressed people darting through the city. Here's what you need to know about this fall's biggest fashion event. Outside and at the shows, you can expect models, bloggers and fashionistas to be wearing a lot of pastels, off-the-shoulder blouses, boho Vyshyvanka by Vita Kin dresses that fit right in with the ’70s vibe and, of course, some statement coats that are totally unnecessary in this high 80s weather. As for shoes, look out for those goth Alexander Wang creepers, slingbacks and glove shoes. You are also going to see a ton of graphic bags (Moschino) and saddle bags. Shows will be split between Skylight at Moynihan Station, MADE at Milk Studios and Skylight Clarkson Square. As always, however, there are many other “unofficial” locations throughout Manhattan and Brooklyn. There will be many designers making their NYFW debut, including Banana Republic, Rotten Roach, Kanye West, Gabriela Cadena and Lauren Conrad. Conrad’s show, whose entire collection is for Kohl’s, kicks things off tonight. The show will stream live and everything seen on the runway will be available for purchase immediately afterwards. Some more classic fashion lines have also brought on young blood to revive their brand, like Brooks Brothers hiring Zac Posen. We are excited to see the sleek, clean lines at Kempner, which was launched last fall by grandkids of NYC socialite Nan Kempner, as well as the cutting-edge designs of Public School. Ashley Graham: The first plus­-size model to be featured in the Sports Illustrated "Swimsuit Issue" is getting a lot of buzz this NYFW. Eva Chen: Former Lucky magazine EIC and now the head of fashion partnerships at Instagram has a spectacular eye, capturing potential trends long before the rest. Karlie Kloss: The new NYU student will still be making appearances at NYFW. Susie Lau: The creator of fashion blog Style Bubble, one of the most successful blogs worldwide. Gigi Hadid: With 5.8 million followers, you have no choice. Kendall Jenner may be walking some runways, which means more Kardashians are inevitable—including Caitlyn Jenner, who is rumored to also be strutting down the runway. Someone who may be noticeably absent? It girl Cara Delevingne, who proclaimed she was done with fashion a few weeks ago. 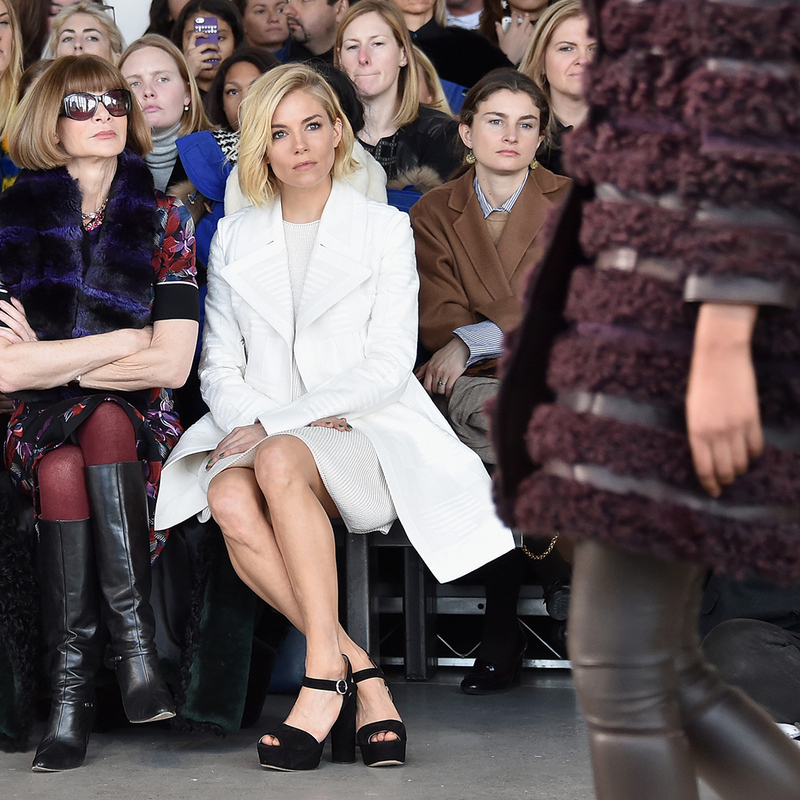 Check out the full schedule of shows here and try to grab a seat in the back row in the hopes of catching a glimpse of Anna Wintour.